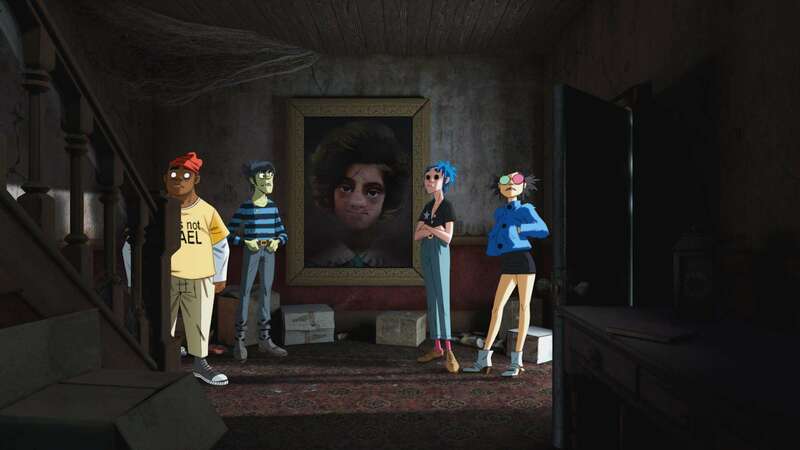 As if followers weren't already excited for their glorious comeback (a refreshing new album, a trippy music video, and a bracing TV series), virtual band Gorillaz—at least its two most polarizing members, 2D and Murdoc—for the first time in its animated existence, recently granted an on-camera interview. With the help of Telekom Electronic Beats, BBC Radio 1's MistaJam spent half an hour talking to an empty couch reprimanding and cracking up at two-fourths of the British group while on live stream. 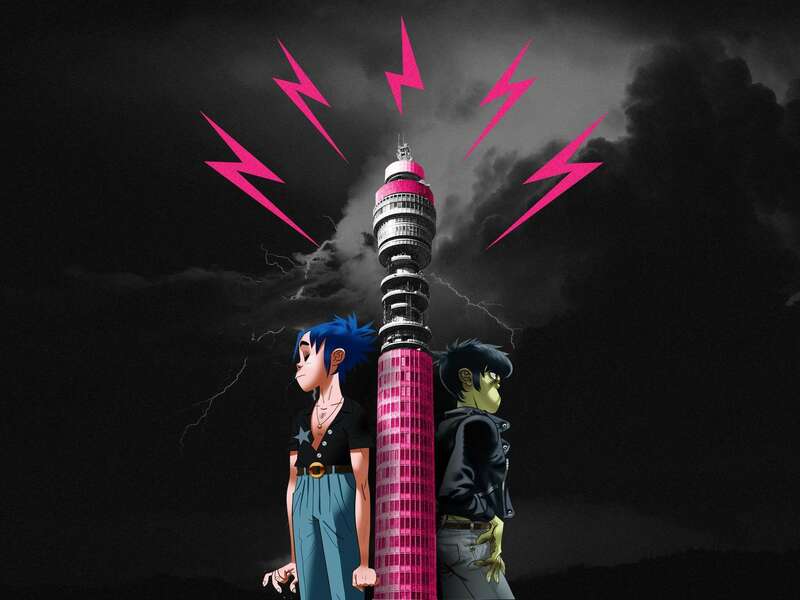 The DJ chatted with the singer and bass player about their comeback album, Humanz, Murdoc's favorite writer, 2D's relationship with Simon Cowell, and pretty much the candid majesty of Gorillaz. 2D: Yeah, it was quite emotional for us. Fear was one of the biggest emotions, and frustration. Emasculation, that's another one." MistaJam: "You've also got some amazing guests on the album. How did you go about rounding them up?" 2D: "A lot of them were taken against their will. There were blow-darts involved." MistaJam: "You put it ('Hallelujah Money') out on the eve of Donald Trump's inauguration. Were you trying to make a statement with that?" 2D: "You got to be careful when you say 'Donald Trump' 'cause he gets all panicky when you say things like that." Murdoc: "Donald, what happened to Donald? Is he in? Is he in?! Is he in? Is he in?!" Murdoc: "Well, that got sort of sold on eBay I think, to a gentleman in Germany. I'm going to go and retrieve it, 'cause I love that vehicle." Murdoc: "We stayed at the vanguard of that, you know, right at the forefront of twerking. Then I let the other people sort of take over, you know? But it's an interesting phenomenon, isn't it, 2D? What is it?" 2D: "I always thought it was Liverpudlian for 'going to work.' 'Going t-work, Going twerk.'" 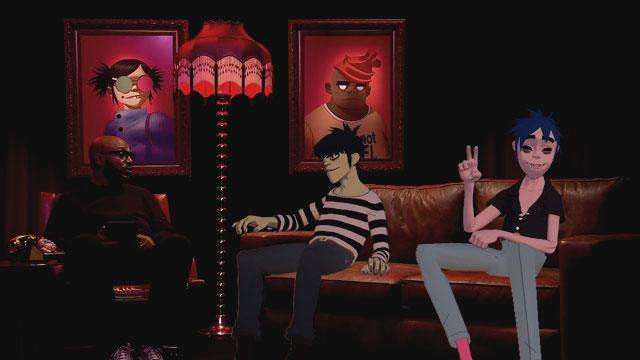 Murdoc: "Best moment of my life, really, was when I met 2D." 2D: "Do you mean that?" 2D: "That is the one thing that we can only be certain of, is all the time that there is a head on our necks, then there always be music." Murdoc: "It's an endless supply, really. I mean, there will be more to come." 2D: "We're not going to stop, until they tell us to."